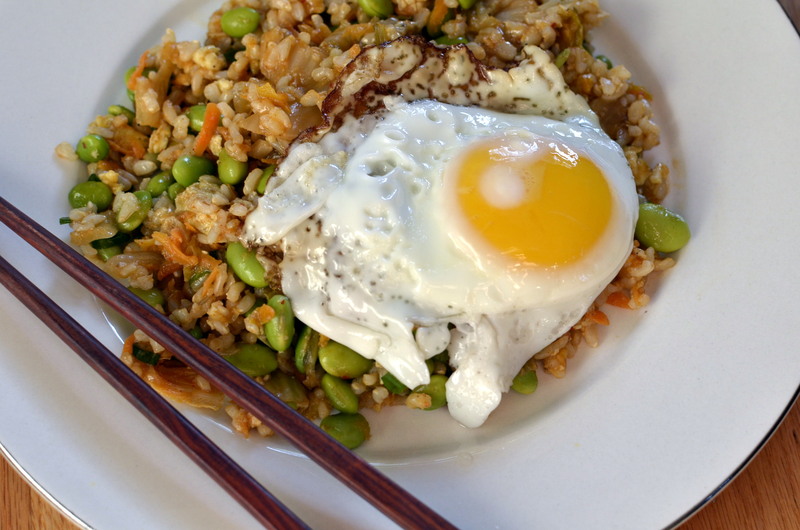 This recipe is a healthier version of that old take out staple. Edamame is one of my favorite healthy protein sources and kimchi is full of probiotics (lactobacilli). I love all kinds of Korean food. You know, all kimchi all the time! 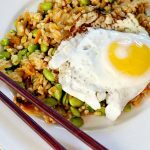 So basically this recipe has all of my favorite things – lightened up, healthy protein, easy to make, gluten free, and SO delicious! 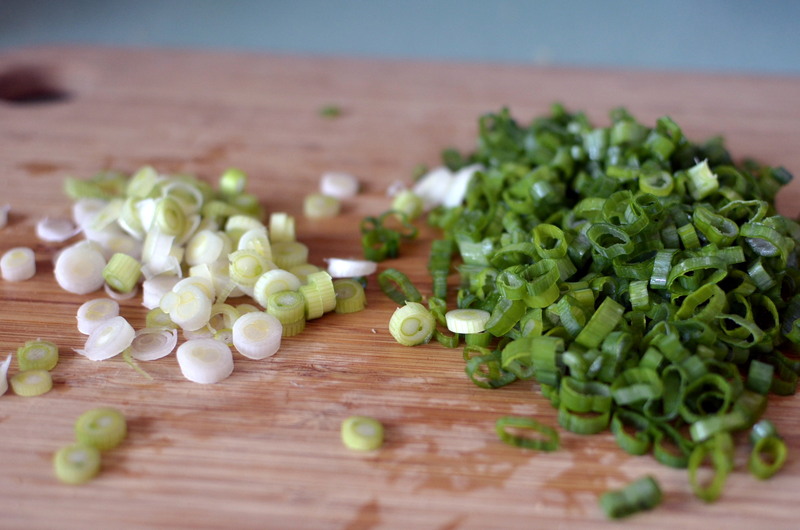 It’s a recipe I make again and again and I hope you will too! 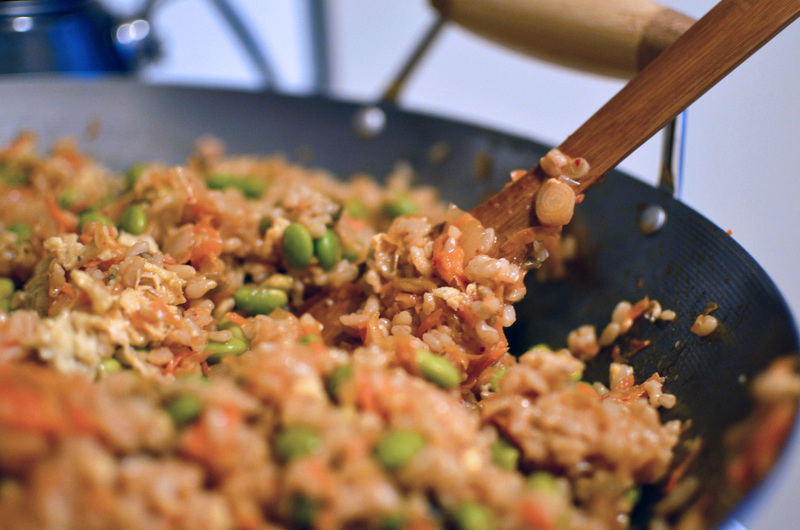 Heat 1 tablespoon peanut oil in large wok and cook the whisked eggs. Remove to plate. Heat remaining tablespoon of peanut oil until almost smoking. 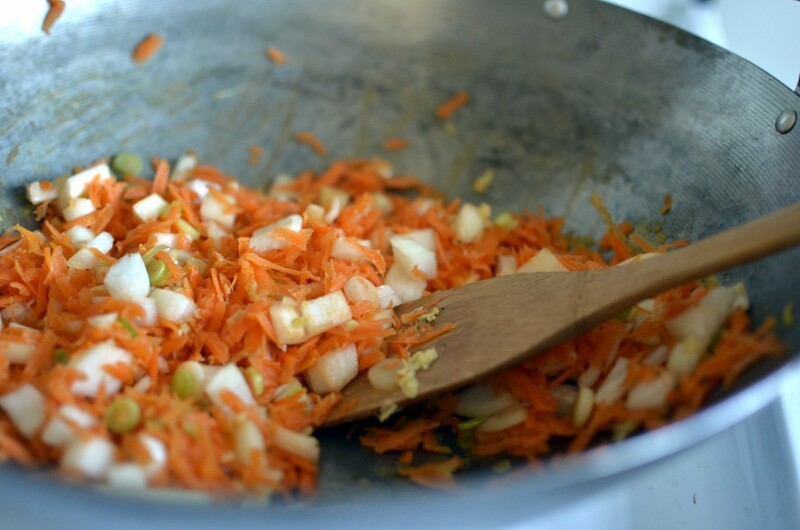 Add onion, garlic, scallion whites and carrots. Cook about 60-90 seconds, careful not to burn. 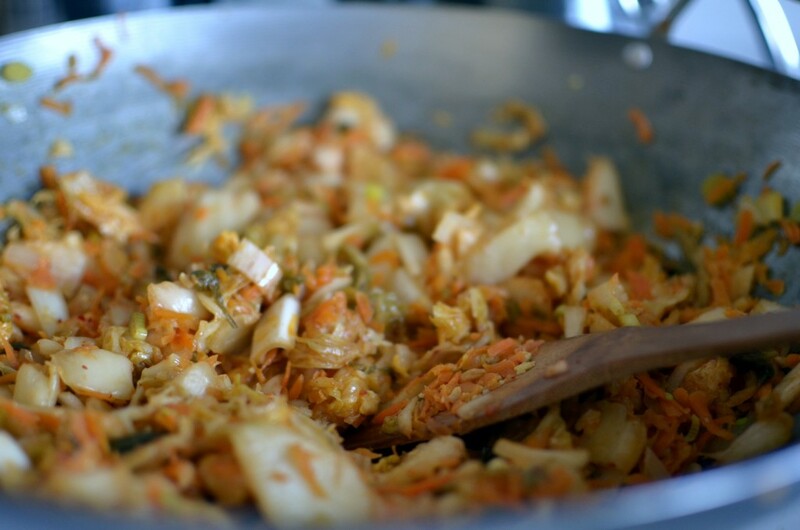 Add kimchi and a little bit of kimchi liquid and stir fry another minute. Add cooked egg and edamame and cook while mixing well, 2-4 minutes. Tell me, what are some Korean-inspired recipes that you enjoy? 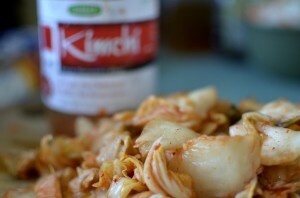 Are you on team kimchi? Let me know in the comments below!